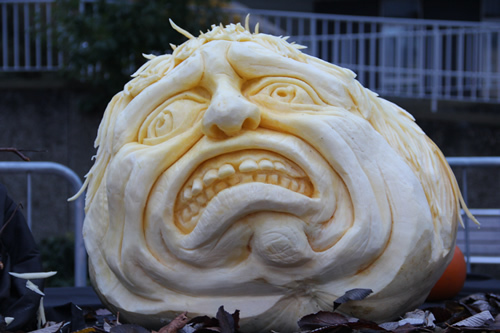 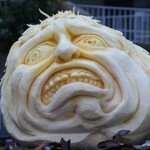 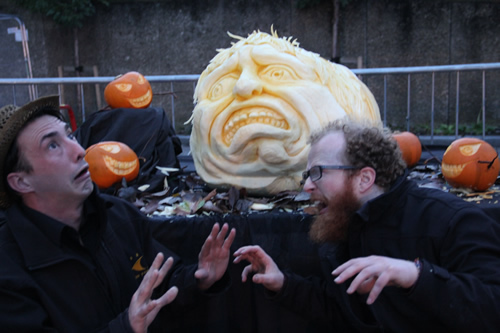 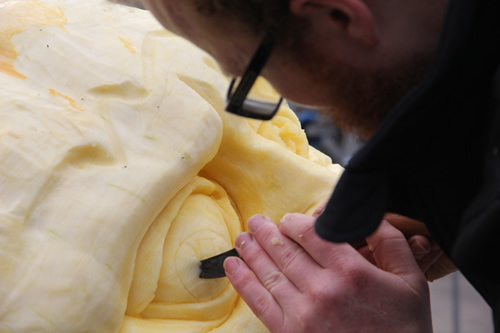 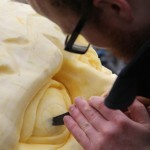 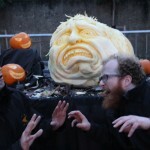 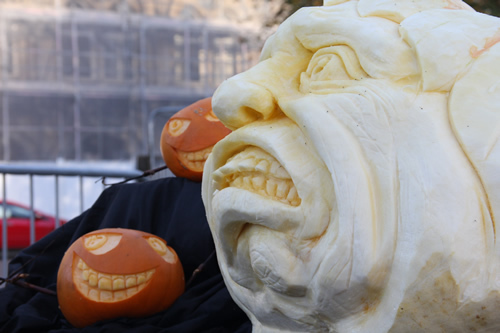 It is pumpkin carving season as we are coming up to Halloween and we carved a giant pumpkin face as a demonstration that was terrified of the little pumpkins that wanted to eat him as made by Tom Bolland. 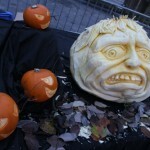 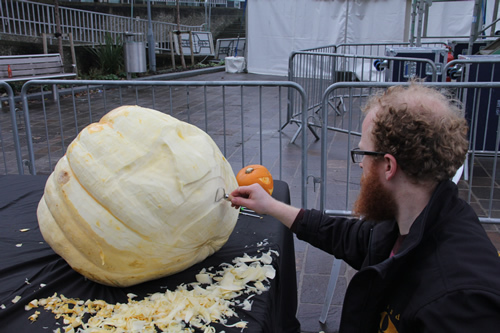 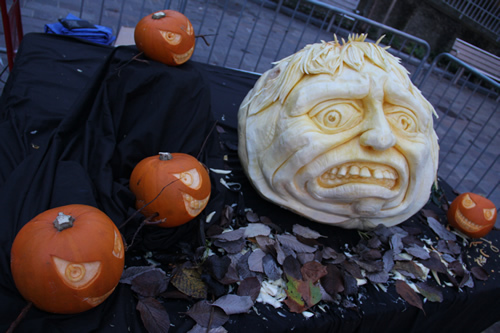 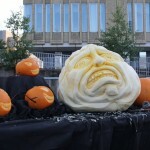 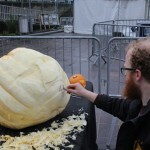 The pumpkin caring demonstration was part of Bradford City Parks Reflections event in Yorkshire. 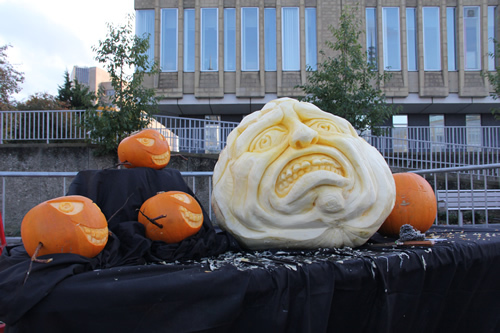 After the event I then dropped it off at my niece and nephews house where it has lasted the week and has even had people knocking on their door to ask if they can take pictures! 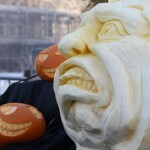 Giant pumpkin scarred of the little ones!